What’s the new inquiry into workplace dress codes all about? Everyone remember that time when Nicola Thorp was sent home from work after refusing to wear heels in December 2015? A petition since then has garnered the support of over 150,000, triggering an inquiry and a report. Thorp, who was working for employment agency Portico, decided to not abide by their dress code rules. Arriving at financial services company PwC in December 2015, Thorp was told to wear “2in to 4in heel” shoes and was sent home without pay when she refused. Well, parliament held an inquiry following reports that Thorp was let go from work. A new report named ‘High Heels and Workplace Dress Codes’ has since found some women workers are being instructed to adapt their appearance in a specific way in order to look attractive. Direction that some female workers have received from management has been deemed as ‘sexist’. It has become a topic of discussion amongst MPs and is something the government are looking into. According to the BBC, a government spokesperson said: "No employer should discriminate against workers on grounds of gender - it is unacceptable and is against the law. Dress codes must be reasonable and include equivalent requirements for both men and women. “The Government Equalities Office will carefully consider this report and will work with its partners to make sure employers comply with the law." 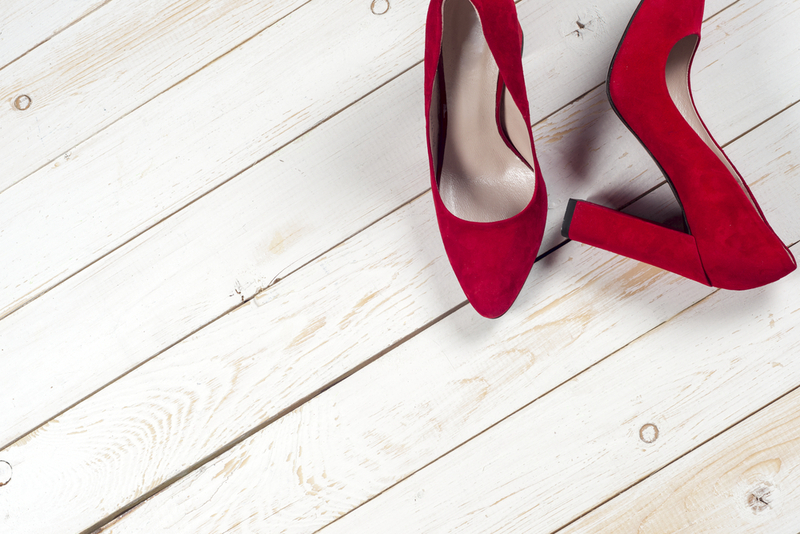 "This may have started over a pair of high heels but what it has revealed about discrimination in the UK workplace is vital"
The report named ‘High Heels and Workplace Dress Codes,’ came from parliamentary committees for Petitions and Women and Equalities. The report makes it clear that Thorp’s incident was not rare. “We heard from hundreds of women who told us about the pain and long-term damage caused by wearing high heels for long periods in the workplace, as well as from women who had been required to dye their hair blonde, to wear revealing outfits and to constantly reapply make-up. “The Government has said that the existing law is clear, and that the dress code that prompted this petition is already unlawful. Nevertheless, discriminatory dress codes remain widespread. It is therefore clear that the existing law is not yet fully effective in protecting employees from discrimination at work. We call on the Government to review this area of the law and to ask Parliament to change it, if necessary, to make it more effective." "Discriminatory dress code remains widespread." Remember everyone is different and expresses themselves in different ways. Allow for creativity that doesn’t damage your brand image and consider different cultures and religions in the workplace. Understand what employees feel most comfortable in and allow them to leave it to their own judgement to wear appropriate attire. Be sure to let new employees know what is expected to prevent confusion at a later stage. Avoid using gender specific terms when creating a list of do’s and dont’s. For example, avoid using terms such as ‘skirts’ and ‘heels’. But instead use terms such as ‘business appropriate attire’, ‘smart casual’ etc. Ensure that the dress code doesn’t come with any health and safety risks or anything that could be accident prone.